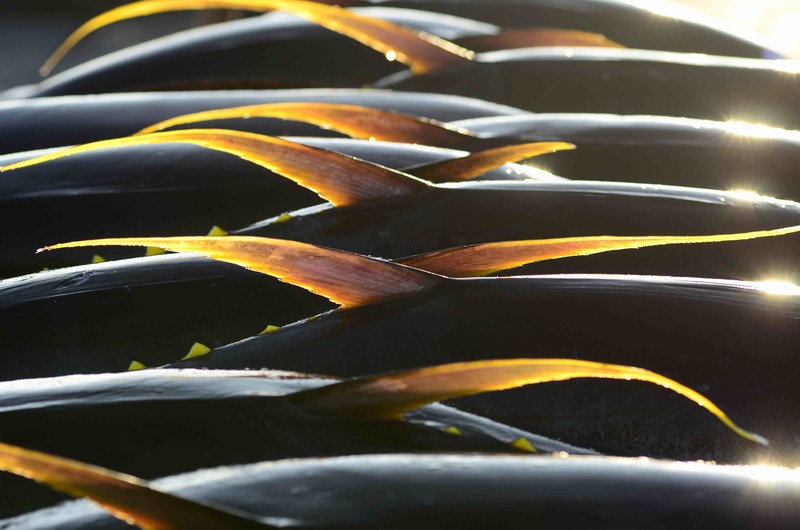 Ten canneries were to be built to capture more value from tuna caught in PNG waters. A decade later, there are no canneries. This article is based on Episode 18 of the Little Red Podcast, featuring Walkley Award–winning journalist Jo Chandler and Louisa Lim of Melbourne University. Manus Harbour was absolutely enormous; it was almost the scale of Pearl Harbour. MacArthur won the Pacific out of Manus. Strategically, it was this enormous resource – a million American military went through this tiny little place toward the end of the war – and this PNG politician [Powes Parkop] is pointing out to me it wouldn’t take too much work to clear some of that rubbish off and you’d have those lovely runways back, and if Australia’s not going to help us out, I’m pretty sure the Chinese might like to ... Just put that in your newspaper for me will you? With this single anecdote, Chandler captures how chance, accident, and a willing Pacific partner can shift the geostrategic game. When Concetta Fierravanti-Wells railed against Chinese aid’s “white elephants” and “roads to nowhere” in the Pacific, part of her frustration was with the speed and surprise attached to these projects. Ironically, this feeling is shared by many Chinese diplomats in the Pacific, who often – along with their Pacific counterparts – first find out about projects in the morning news. One project that fits squarely in that category is the Pacific Marine Industrial Zone (PMIZ) in Madang, my vote for the worst of more than 200 Chinese aid projects in the Pacific. When the project was first announced as one of four PNG projects funded by China Exim Bank’s 2006 Concessional Loan Facility, the economic rationale was clear: PNG needed modern canning facilities to capture more value from tuna caught in its waters. Ten canneries were to be built. A decade later, there are no canneries, only an access road, a fence, and a gate that cost $1 million. The PMIZ’s backstory is murky. I’ve argued previously that most large Chinese aid projects in the Pacific are reverse-engineered by a Chinese contractor and their Pacific partners, then presented to China Exim Bank as local initiatives. Projects that work have a strong local partner committed to the public good, and a Chinese contractor with in-country experience and a concern for their local reputation. The dormitories built by Guangdong Foreign Construction Group at the University of Goroka are one of many positive examples. PMIZ is not. That project is a joke. They are always on the phone, trying to get us to help out, or take over the project. That contractor has no capacity to do the project. They don’t have the people or the knowledge. From the start, the project has been known as a way for the Filipinos to use Chinese money to build their canneries. While the Filipinos are still waiting for their canneries, former minister Kapris continues to benefit. Dumped by voters in the 2012 elections, the savvy Sepik operator became Managing Director of Aces Venture Ltd, a contractor that secured the bulk of the PMIZ construction work. The PMIZ saga challenges the notion that Chinese actors are “duchessing” passive Pacific politicians, as Fierravanti-Wells claimed. Tragedies can unfold when the Chinese party involved is weak or incompetent. Jo Chandler’s description of one of PNG’s greatest disasters – the breakdown of its medical kit delivery system – highlights this risk. Almost 3000 aid posts and medical centres in PNG find themselves with little or no medicine, largely because of a Chinese company with a reputation for supplying fake and overpriced drugs. This fragmentation of China’s efforts in the Pacific seems well beyond the capacity of any PRC agency to coordinate, either in Beijing or Port Moresby. Xi Jinping’s Belt and Road Initiative (BRI) aims to change this. In the BRI, Chinese aid, trade, and investment come under the umbrella of one grand strategy that includes the Pacific. As our episode went to air, news came of what could be the most far-reaching change to Chinese diplomacy in decades. According to the Bloomberg report, ambassadors will be given a veto over finances and personnel. In China, the status of an agency is determined by whether or not it controls the “three powers” (san quan) of personnel, finance, and materials. This change would represent a boost to the Ministry of Foreign Affairs (MFA), a department that has long been the weakest link in China’s public diplomacy, muscled out by the Ministry of Commerce, state-owned enterprises and Party organisations such as the United Front Work Department. A realignment of China’s foreign policy, particularly around aid provision, is something I flagged in an article with ANU scholar and former Pacific-based Chinese diplomat Denghua Zhang. Before we proclaim a new era in Chinese diplomacy, however, it’s best to wait until after the National People’s Congress meets in March. Rumours abound that former anti-corruption tsar Wang Qishan will be made vice president and overhaul China’s soft power efforts. We’ll need more than a Bloomberg piece citing one on-the-record source before declaring China’s diplomacy transformed. Everyone may agree that China needs to fix its diplomacy, but how will cashed-up agents of the Party and highly ranked ministries cede power to the lowly MFA? Even Vice President Wang may struggle to see that through. The menace behind the man within the title “Princely Exalted Supreme Great Commander of Gloriously Victorious Troops”. The ten most popular Interpreter articles of 2018. Divisions have marred preparations for the November independence referendum despite effort to seed habits of dialogue.